Would you take a gamble with your personal safety? Then why take a gamble when choosing a Staffordshire electrician? 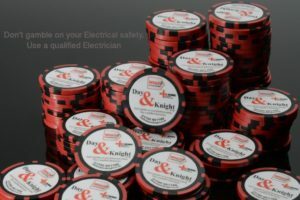 With numerous schemes in place to vouch for the credentials of trusted electricians, there is no need to take a chance with cowboy traders when it comes to your electrical safety – don’t gamble. Instead, make sure you choose a Staffordshire electrician who is certified and has won the backing of a scheme that endorses the quality of their work. To drive this message home Day & Knight Electrical Solutions have been handing out poker chips to highlight the danger of gambling with electrical safety. As a Which? Trusted Trader we got the idea after being called to a job where an obvious electrical fault could have put people in danger. The poker chips carry the Which? 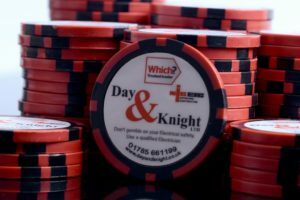 Trusted Trader and Day & Knight logos on them along with the message ‘Don’t gamble on your electrical safety, Use a qualified electrician’. The team has been giving these chips out to customers and to shoppers in Stafford town centre in the hope to catch their attention and alert them to a very real problem and how they can protect themselves from rogue traders in Staffordshire. Day & Knight have delved into previously uncharted territory by embarking on the direct marketing campaign, but believe very strongly that the electrical safety message needs sharing for the good of all home-owners. The idea first took hold after we were called to an apartment in Walton on the Hill, Stafford. The owner had noticed a burning smell in her kitchen and called us. There was a clear electrical wiring fault and it was only by luck that fire hadn’t broken out. The consequences could have been terrible as there are three linked apartments and all could easily have been affected had that been the case. That is why it is so important to have a trusted, certified electrician you can call on in Staffordshire – the right person will act quickly to identify any dangerous electrical fault and make the property safe again. More than that you can have faith that a trusted electrician will do the job correctly in the first place. Research by the Electrical Safety Council indicates there are 20,000 unregistered electricians in the UK, and one in four people do not check electricians’ credentials before allowing them to carry out work. When choosing a Staffordshire electrician always bet on the best ­– gambling with electrical safety never pays. 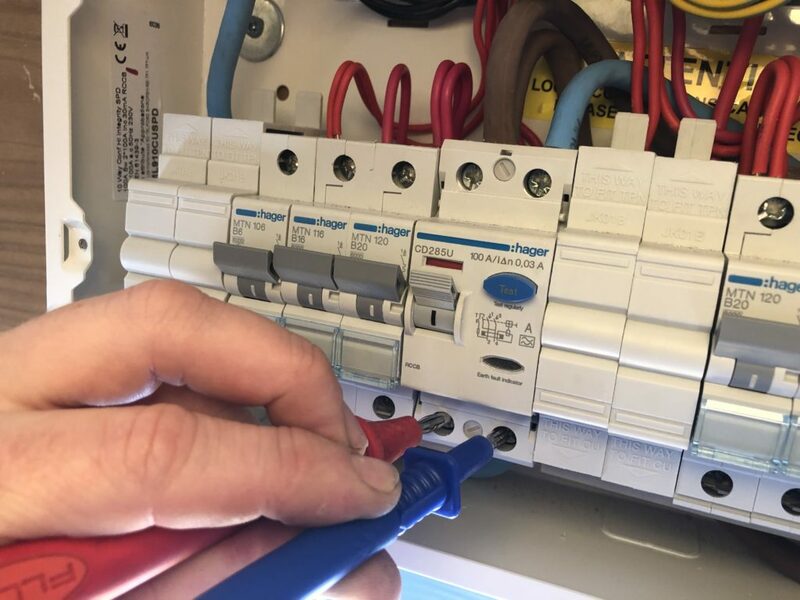 This entry was posted in Articles and tagged be safe, day and knight electrical, electrical safety, electrician stafford, electrician Staffordshire, Local Business, safety, safety first, stafford.